With its partner ESR Cartography Ltd, Trackmaps provides a bespoke railway mapping service to the Rail Industry. Maps or sets of Maps are designed and constructed to meet a client’s specific requirement and supplied in a variety of hard copy formats. Bespoke mapping has been supplied by ESR to the Rail Industry for the last 10 years based on their National Network geo-schematic maps at track level detail and in line diagram format. Maps can also be provided from any other source of data including our own Railway Track Diagrams and can cover the whole network or specific areas depending on use and format. As a cartographic services company, ESR can provide any map in most formats working from almost any source. 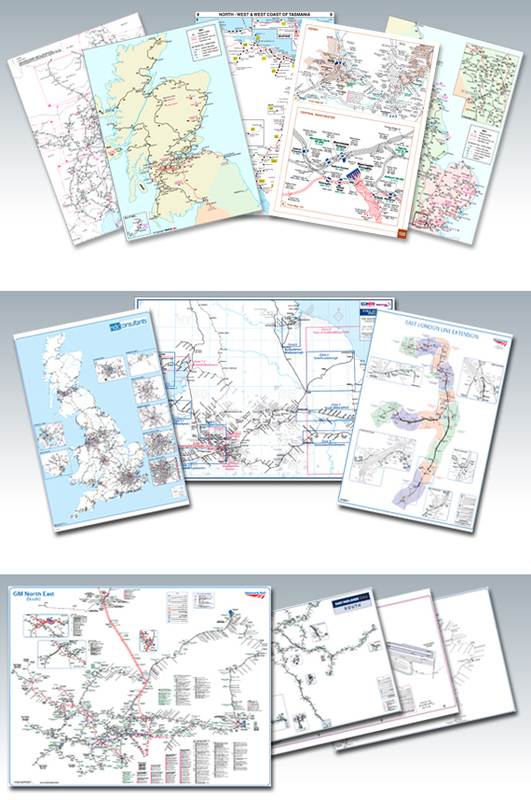 South Yorkshire PTE - regional route maps at track level detail as as licensed pdf for management overview. If you have a specific requirement or would like to know more, please contact Mike Bridge on 0845 300 1370 or click here.